OPPO is bringing its A-game in MWC 2019! OPPO is set to join the Mobile World Congress 2019 with a bucket-full of tech advancements and innovations. Here are 5 technologies OPPO will unveil in the annual tech gathering in Barcelona, Spain, this February 25. OPPO is set to bolster its flagship tech, the SuperVOOC Flash Charge. Last MWC 2016, OPPO unveiled its incredible SuperVOOC Flash Charge that addresses slow charging and poor battery efficiency. The SuperVOOC Flash Charge tech ups the ante by offering 10 hours of talk time with only 5 minutes of charging, and filling 2500mAh battery in only 15 minutes. For the purpose of comparison, the Original VOOC Flash Charge that gave users 2 hours talk time with just 5 minutes of charging. The SuperVOOC Flash Charge is the safest charging technology in the industry as certified by TUV Rhineland. The company has included this feature with the OPPO R17 Pro and Lamborghini Version of Find X.
SmartSensor Image Stabilization allows its users to “take great photos anytime and anywhere”. This is OPPO’s first ever sensor-based solution for smartphones with the smallest optical image stabilizer in the world. In collaboration with MEMS Drive, a company specializing in this technology, the SmartSensor took form with MEMS (micro-electro-mechanical system) that makes it comparable to SLR cameras. With this tech, OPPO smartphones can now capture life’s beautiful moments in astounding detail. Even when lighting conditions aren’t the best, SmartSensor allows longer exposure time for bright and clear images. OPPO gave the audience an exclusive look at the game-changing “5x Dual Camera Zoom” technology last MWC 2017. This technology provides a revolutionary innovation of 5x lossless zoom capability unlike the common 2x zoom found in the market. In addition, users can utilize the image stabilization capability while enjoying the thin and sleek design. OPPO invested USD 1.43 Billion in research and development this year. One of the biggest agenda is embracing the 5G trend, striving to become the first manufacturer to launch 5G smartphones. 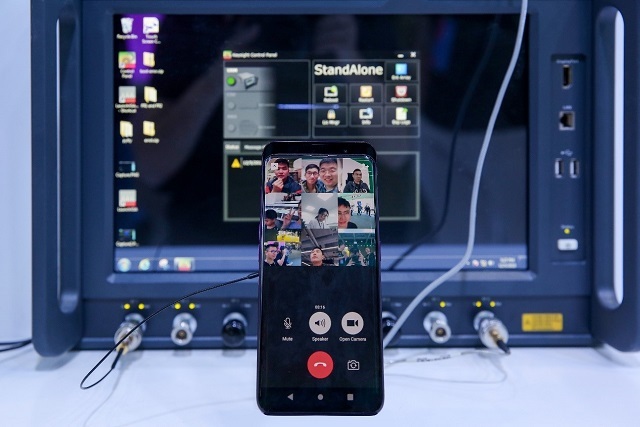 Earlier last year, OPPO made the world's first multiparty video call on a smartphone via 5G network. In building a 5G ecosystem, OPPO will continue deepening its collaboration with Qualcomm, network infrastructure manufacturers, telecom service providers and other supply chain partners. Such contributions in the industry are already notable but OPPO is unceasing with its innovation. 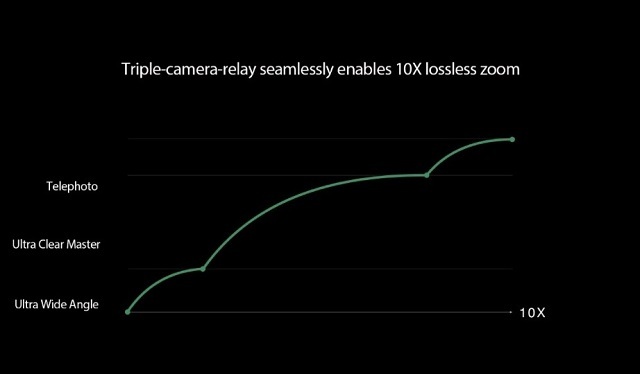 The company started its year with the forthcoming 10x lossless zoom technology. To employ the new technology, OPPO has developed a triple-camera solution consisting of “Ultra Wide Angle + Ultra Clear Master + Telephoto”. OIS optical image stabilization will help maintain image quality at all ranges on both standard and telephoto cameras. Stay tuned for more details this MWC 2019.